A new study found that the blood vessels of people suffering from Post-traumatic stress disorder react differently from vessels of people without PTSD. This seems to explain the higher risk of stroke and heart attack in patients with PTSD. The study of the University of California San Francisco and the Veterans Affairs Medical Center San Francisco is the largest study to date on the impact of post-traumatic stress disorder (PTSD) on blood. The study included 67 veterans with PTSD and 147 veterans without. With the flow-mediated dilation (FMD) test the arteries were investigated. It shows how well the arteries expand after squeezing. The blood vessels of veterans with PTSD were not able to expand as much as the blood vessels of veterans without. 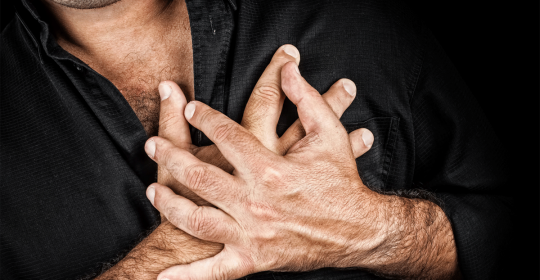 Stiff arteries are a risk factor for cardiovascular diseases like stroke and heart attack. Other studies showed already the link between Post-traumatic stress disorder and stroke / heart attack. So far the mechanism was unknown. “Traditional risk factors such as high blood pressure, diabetes, high cholesterol and smoking, have not fully explained why people with PTSD seem to be at higher heart disease risk. Our study suggests that chronic stress may directly impact the health of the blood vessels,” said Marlene Grenon, M.D., lead author of the study.